Your English speaking driver will pick you up at the your Hotel at 7.00 a.m, who will drive you in Pisa and Florence. Driving along the Arno river, the tour begins in Pisa, home of the world famous Leaning Tower. Discover the unexpected side of the city, with the University area where Galileo studied. Stop in the Leaning Tower square to view the Duomo, Baptistery and city walls.Next you will drive in one hour to Florence, stopping first in Piazzale Michelangelo for a beautiful view on the hills overlooking the city. When you arrive in the city, make your way to the Accademy where the original David by Michelangelo is located (since you have reservations, you will be able to avoid the lines!). The sculpture has been housed here since 1873, when it was moved from its previous outdoor location on Piazza della Signoria. Next, make your way to the Basilica di Santa Maria del Fiore, the Duomo of the Roman Catholic Archdiocese of Florence. This cathedral, was the largest in Europe when it was completed, with room for 30,000 people. It is noted for its high, octagonal-ribbed dome, that is Brunelleschi’s most famous masterpiece. Then head to the Baptistery with its famous bronze gates, before coming to the Basilica di Santa Croce (Basilica of the Holy Cross), where Michelangelo, Galileo, Machiavelli, and many others famous people are buried. The last stop before lunch will be the Old Bridge area, with its medieval roads and Renaissance palaces. If you are interested, you will have the opportunity to stop in some of the workshops to visit the craftsmen. At some point, stop for lunch in a typical restaurant, or for something fast on the way (if you want to be quick) and some shopping. You will have about one hour to shop on your own for leather, gold, shoes. The return to the Ship will be around 7.00 p.m.
All rates are quoted in Euro funds. 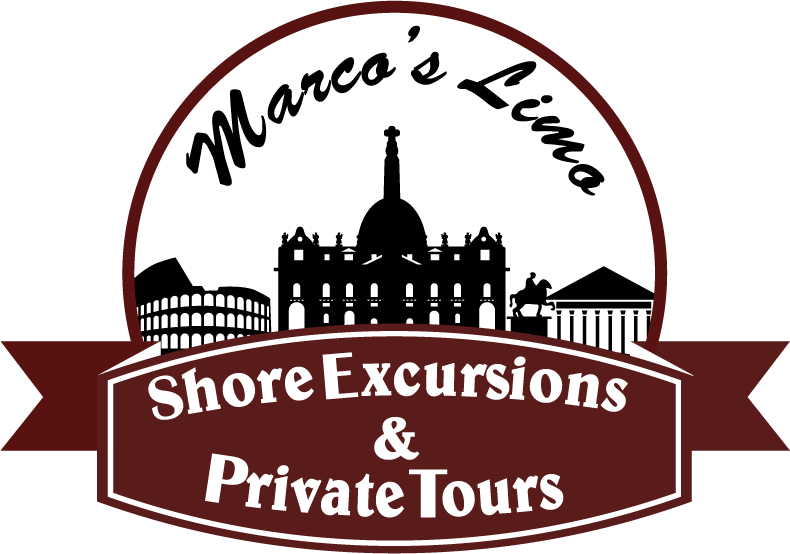 Payment in Dollars or Euro.Rate includes driver-guide for the whole tour.Please note that the driver will not enter sites.Price do not include meals or entrance fees.